‘Love the words; love the words’ was Dylan Thomas’s advice to the first performers of Under Milk Wood in 1953. Directed by Nic Lloyd, Malvern Theatres Young Company have done just that; and bring their love of this exquisitely lyrical language to the Fringe for their second year, following 2018’s hugely popular performance of Sophocles’s Antigone. This funny and poignant portrait of a Welsh seaside town has always resonated with readers and audiences, thanks to the universality of its characters and its vivid sense of location. 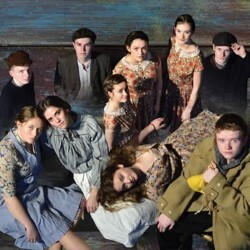 Come closer now and enjoy the magic of Under Milk Wood.